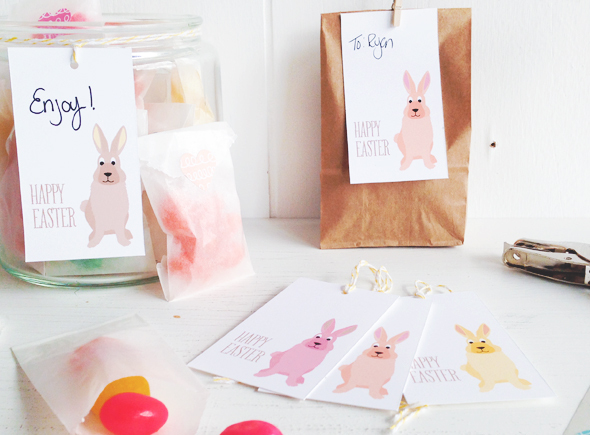 add a little cheer to your easter gifts and baskets with bunny gift tags. download the free pdf, print and cut out. prefer notecards and envelopes? 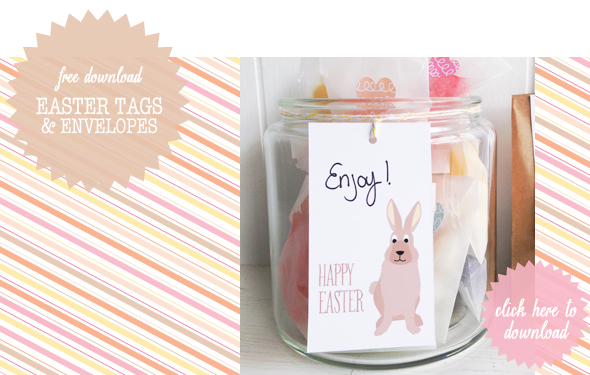 there’s a mini envelope template and stripe pattern also. print the pattern on one side and the template on the other. happy easter. These are SO cute! Thank you! !